Prominent British activist comedian Russell Brand has attacked Fox News broadcaster “Judge Jeanine,” saying she promotes “the same energy” as the killers who attacked satirical magazine Charlie Hebdo. Speaking on his regular YouTube broadcast, The Trews, Brand reacted to a vicious attack on Muslims by Jeanine Pirro, a former judge-turned-newsreader for Fox News. “Bomb them, bomb them and bomb them again,” Pirro said in the videos. “This woman is prepared, the same as the terrorists, to cast aside human values,” he said. He then said it was the responsibility of “all humankind” to prevent terrorism. “We’ve got to see beyond the distinctions and the camouflage of identity and language, and recognize hatred for what it is,” he said. Brand then turns his attention to Rupert Murdoch, the billionaire CEO of Fox News’ parent company, News Corporation. 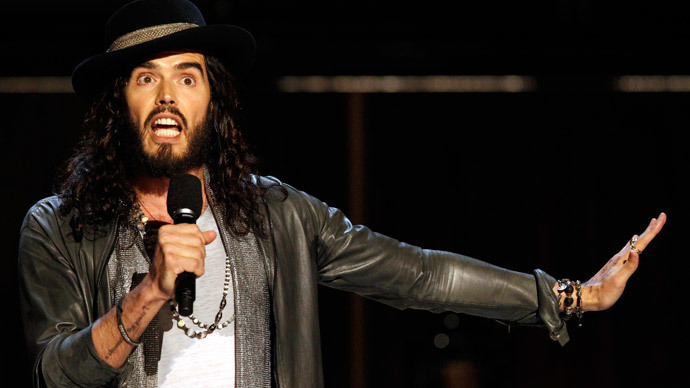 Pretty sure Russell Brand's almost OCD amount of attacks on Fox has nothing to do with them cancelling his US show a few years back.